TELLURIDE, Colorado (July 13, 2017) – This summer, the Town of Mountain Village Owners Association (TMVOA) and Beyond the Groove are pleased to present "Music on the Green", a free concert series taking place Fridays through August 18th from 5:00 – 7:00 p.m. at Reflection Plaza, adjacent to the Madeline Hotel and Residence. "Music on the Green is a great way to start to your weekend," said Anton Benitez, executive director of TMVOA. "Meet with friends, grab a drink and a bite, and enjoy live music in Reflection Plaza." Edison (July 14) – this Colorado-based indie rock trio features singer/guitarist Sarah Slaton, multi-instrumentalist Dustin Morris and Grammy-nominated guitarist Maxwell Hughes (formerly of The Lumineers). Despite only forming in 2014, Edison has quickly gained a large national fan base thanks to their tireless touring, high-energy live shows and supporting many national touring acts. The Mostest (July 21) – featuring songwriter/guitarist Mark Ranson and virtuoso bassist Patrick Pearsall, as well as a larger collective of musicians that have rotated in and out over the last 11 years. Self-describing their sound as "Heavy Americana", the band incorporates elements of American folk music and extemporaneous jazz, inspired by artists such as Bob Dylan, the Allman Brothers and the Grateful Dead. The Harmaleighs (July 28) – The Harmaleighs honestly craft poetic, passionate, and powerful songs cut from a pastiche of indie, folk, pop and Americana. Featuring Haley Grant and Kaylee Jasperson, the duo is touring to support their latest EP, Hiraeth, sharing the inspiration received from being on the road and the trials and tribulations of longing for a home. McCarthy Jazz Trio (August 4) – Playing a mix of jazz and blues, and infusing their performances with improvisation that plays to the crowd, the McCarthy Jazz Trio explores the structure of jazz classics with an ever-changing perspective. Consisting of Mike Enriquez, Chris Goplerud and Jeroen van Tyn, the Trio takes audiences down a nimble and creative musical journey. Beat Root Revival (August 11) – The duo of Ben Jones and Andrea Magee that make up Beat Root Revival are the first to say their style consists of a lot of different sounds. Influenced by blues, rock and roll, 60's-style pop and traditional folk, the duo's vocals fit perfectly together and their passion for the music is evident on-stage. Joe Pug (August 18) – Austin-based Pug is comfortable pushing the limits of what he is comfortable playing, evident on his newest LP "Windfall". Aiming to go back to basics with minimalist production, Pug has put together a collection of songs that reflect his ambitions as an artist, and reflect his contemporary influences like Josh Ritter, Ryan Adams and M.Ward. 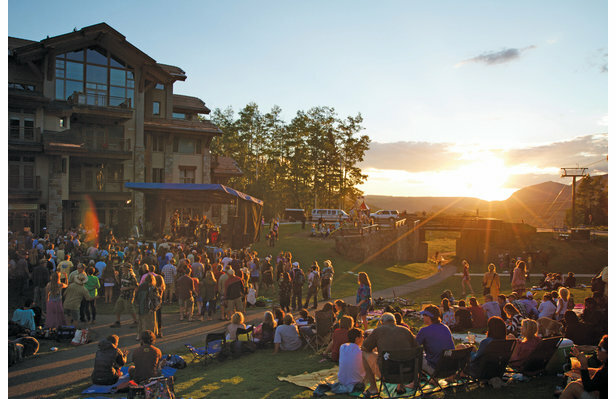 "Music on the Green" is the latest addition to family-friendly entertainment options in Mountain Village, complementing the Wednesday night Sunset Concert Series, as well as the new Thursday/Saturday "Movies Under the Stars", as well as regular shows at Club Red. 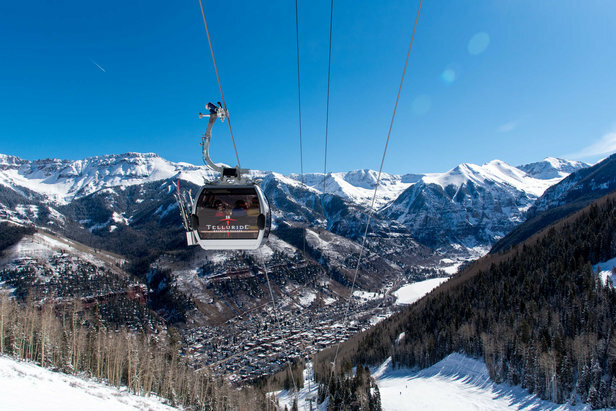 For up to date information on all things happening in Mountain Village, visit our events calendar.